Sheera Gersh had the beauty industry in her spirit as her mother was a passionate hair dresser in New York, it was inevitable that her daughter would soon adopt the love for the beauty industry. As the owner/operator at Addicted to Nails, Sheera thrives on creating custom enhancements and sparkling rockstar toes. With over 20 years of experience in the nail industry, she she worn many hats over the years. As a product educator for a professional brand, she demonstrated product and application to other professional nail techs in classes and at trade shows. Both her print and nail art has been published in Nails and NailPro Magazines and Perfectify Magazine. With a love for elevating other professionals, she branched away from working for a brand and became an independent educator. In 2015, Sheera created a nails only blog and interactive facebook group for professional nail techs named Nail Addict Society. The blog took off and continues to grow, inspire and educate nail techs across the globe. 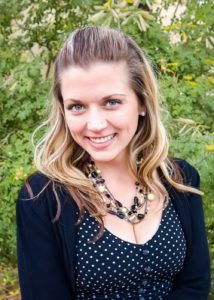 When she is not working with clients at the salon or on the blog, she is coordinating continuing education classes and events for the Arizona Nail Technicians Network. In January 2017, Sheera joined the team at Nail Tech Reality Check as an Empowerment Coach and will be educating at trade shows, classes and workshops across the United States. Sheera was born in Long Island, New York however grew up in Tempe, Arizona. After graduating college with a BIS degree in Sociology/Psychology, she went on to gain an Advanced Certification in Transformational Life Coaching and created Rebellious Spirit Life Coaching. She currently lives with her fiance’ Jon, and his darling of a cat (sarcasm) Jellybean and her new pug puggy Elvis. 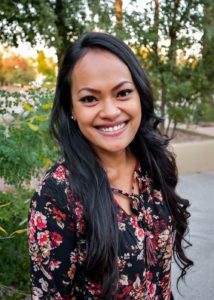 Solina Yang Aliifua absolutely loved nails and art as a young girl, and dreamed of attending beauty school to become a nail technician. As she pursued her dream, she graduated from Nail Logic Institute in Mesa, AZ where she developed a passion for creating beautiful enhancements. 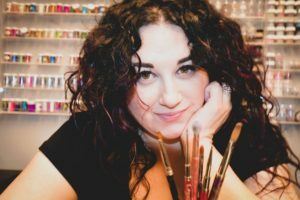 As a talented nail technician she found herself inspired by new techniques and artistry, as well as creating 3D nail art, hand painted art, and is obsessed with glitter. In March 2018, Solina relocated her business to Addicted to Nails and is looking forward to continuing to build her clientele. 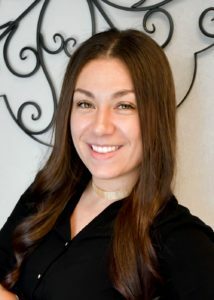 Meet Julia Ratliff, just like you she was looking for the right salon and nail technician to schedule her nail services with and when she couldn’t find that place, she created it by attending Nail Logic Institute in Mesa, Arizona. You see Julia, fell in love with nail artistry well before ever attending beauty school. Julia specializes in acrylic enhancements and nail art and focuses on creating beautiful enhancement at every appointment. As any true artist she is inspired by color, texture and design. Julia also offers signature pedicures as well as Rockstar toes. Julia is a true people person and with her caring heart and a strong work ethic, she has spent many years as a respite care taker. When Julia is not working behind the nail desk you might find her attending EDM (electronic dance music) festivals. Originally from Safford, Arizona she currently resides in Mesa with her 3 lovable cats.